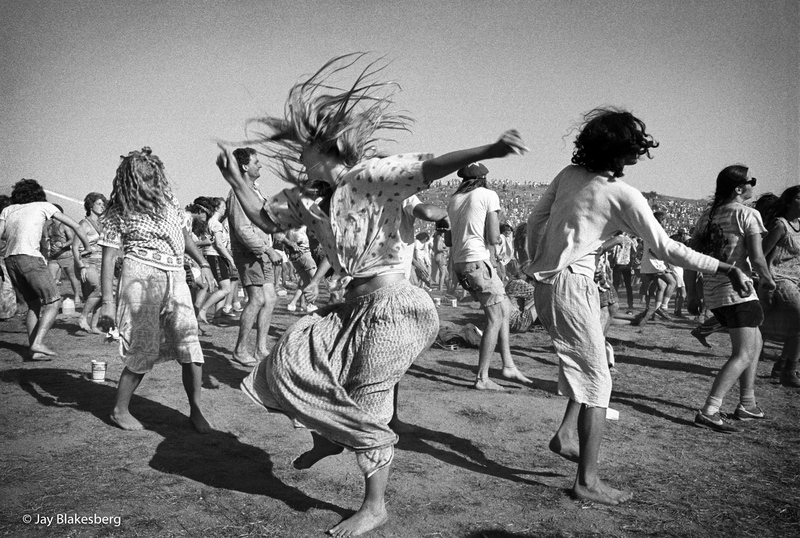 The moment he photographed the Grateful Dead at Meadowlands in 1978, Jay Blakesberg was starting something truly special. Since then, he has traveled far and wide capturing and documenting moments motivated by music. 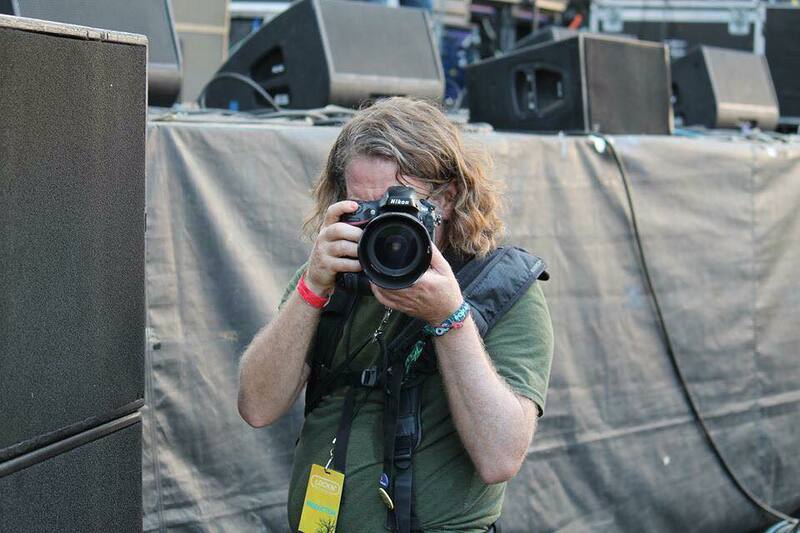 Blakesberg has photographed for some of the biggest names in the business, and with his uncanny ability to grasp the perfect image at the perfect time, he’s been able to pause time during some of music’s most magical moments over the decades. We are so lucky to have Jay Blakesberg on-site each year of LOCKN’, and grateful to sit down with him and learn more about how he makes it happen. Enjoy! One of our favorite aspects about your photos is your ability to capture the fans and that “moment” in time where they are really feeling it. 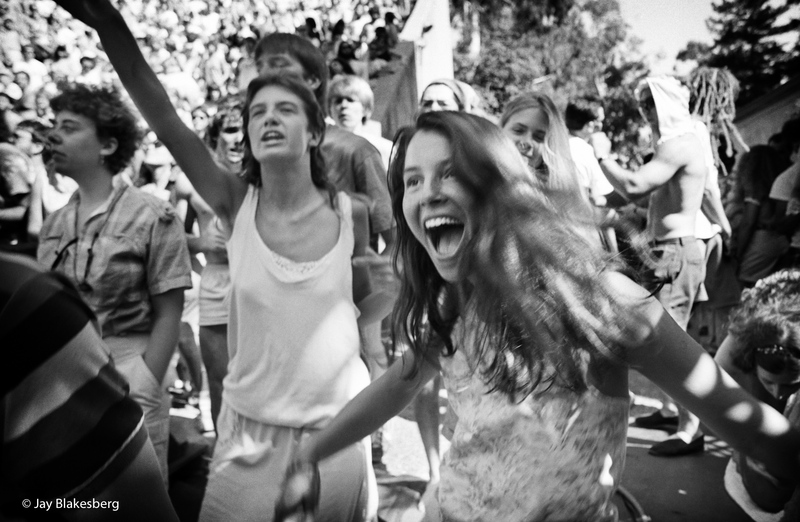 Looking at these two incredible fan photos you shot from Grateful Dead tour in the 80s (attached), and comparing them to two recent photos from Dead & Company tour, the fans still look as enthusiastic as ever. 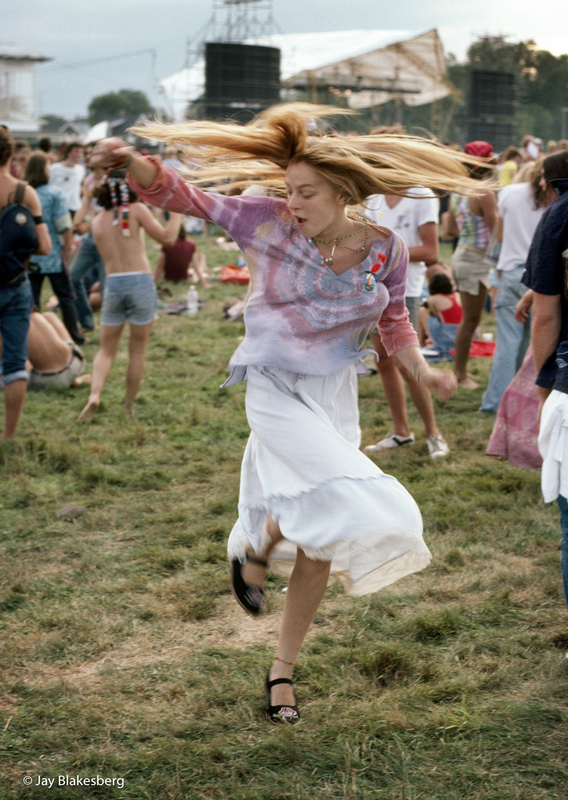 What similarities and differences do you see in today’s Grateful Dead fan? Would you say that both old and new generation of Dead fans are still enjoying the ride as much as ever? 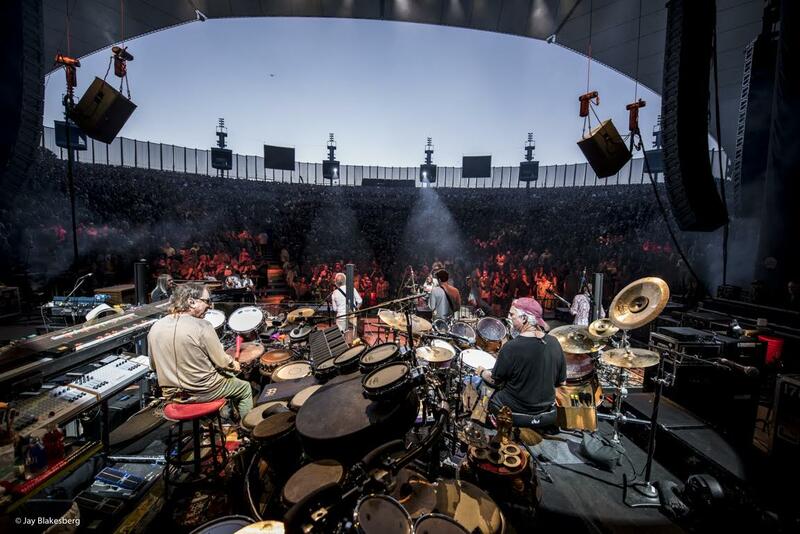 JB: As we know, the Grateful Dead experience, which continues to this day with Dead and Co., is an opportunity for the band to set the stage for magic to happen. 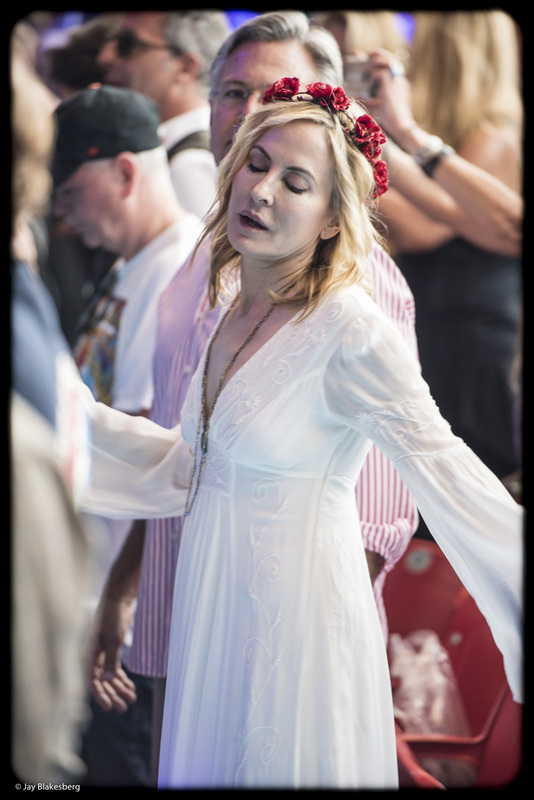 When the band starts playing and the fans feel that energy, it transports us to a special place. It happened 30 years ago, it happens now! For the most part, our bodies are a little older and more creaky, but we all are still chasing that moment where music and body movement collide! It is a RAW, intense energy, and I love pointing my camera at it! 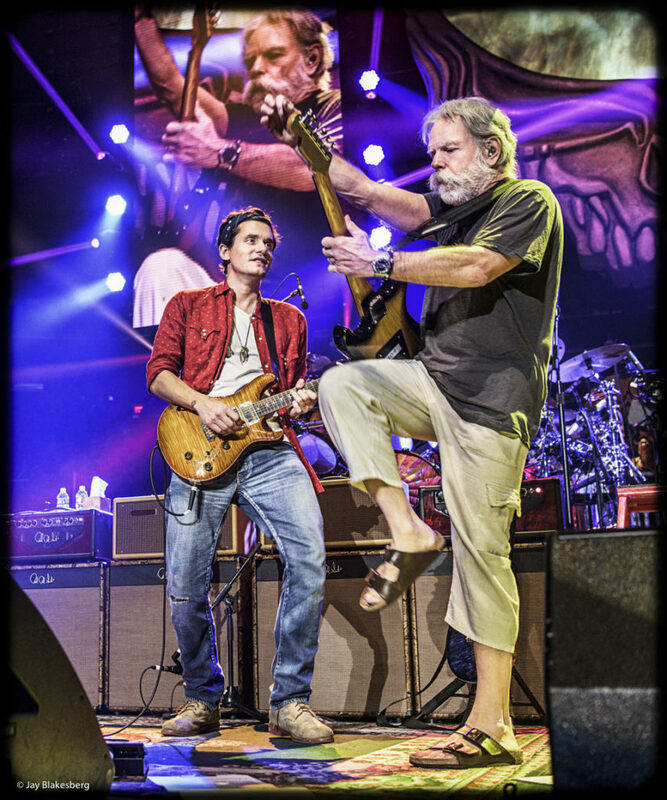 30 years ago it ONLY happened in Grateful dead land…today it happens in our amazing JamBand world everywhere! The Magic has spread. This June at CitiField, fans couldn’t stop raving about that “St. 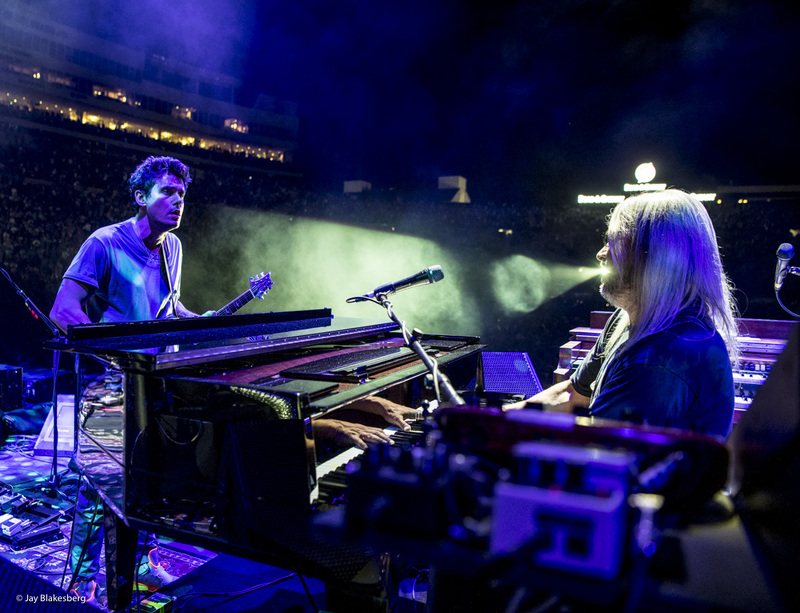 Stephen > William Tell > The Eleven.” Dead & Co fans eagerly waited for the debut of “The Eleven,” and Dead & Co. finally made it happen, completing their first-ever journey through a staple Dead suite, live. Seeing that they accomplished the task so beautifully, would you say that the band is as tight and precise live as they have been in their history of playing together? 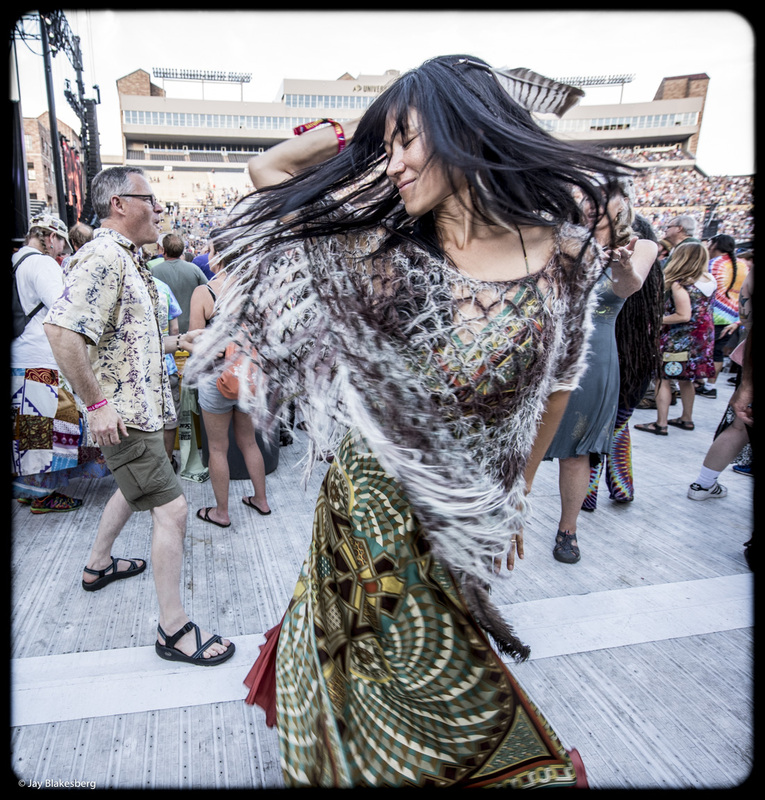 Let’s talk about the this summer’s Folsom Field shows in Boulder, Colorado. What a show! What Deadhead dreams are made of! They came out hot and didn’t stop! I think we’re all still trying to wrap our heads around that show. What was it like to be there and experience that energy? What do you think it is about the band and their camaraderie that keeps the magic alive, with each show getting better and better? JB: I covered Boulder above…but the second night was the tour closer, and after the first night that never took off, I think they ALL wanted to end the tour on a high note, and they most certainly did. Every one of these guys is in it for the win! They might have played Sugar Mag thousands of times, but they still approach each song like they want it to be the best version they ever played. And they did it! It is how I approach my photography. I have been shooting these guys for 40 years, but every time I shoot them, I want to make the best photo I can of them performing. I’m never like “eh, shot them last night, don’t need any good pics tonite”…and they are the same way about the music! If you could, kindly pick two or three photo selects and share your story about each! Bob and John at MSG in 2015. Love this photo of these two guitarists. Energy, excitement, peak moment, Love & Laughter. 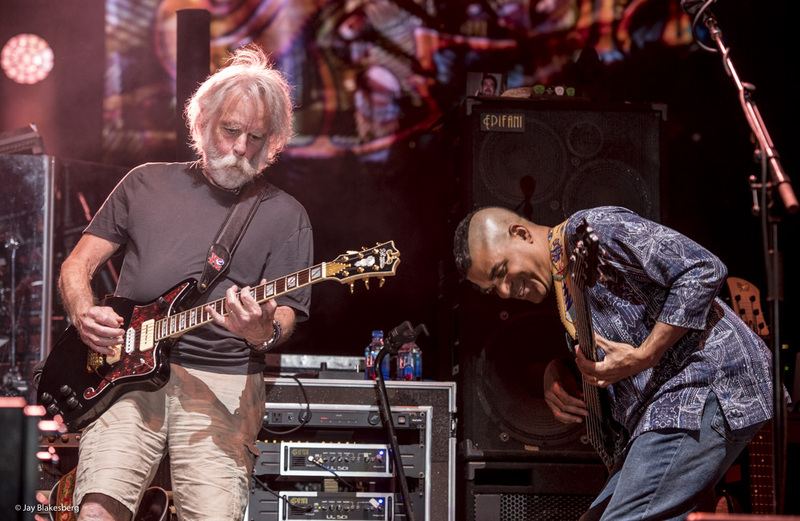 Bob and Oteil in Boulder, July 14, 2018. The End of Sugar Mag. 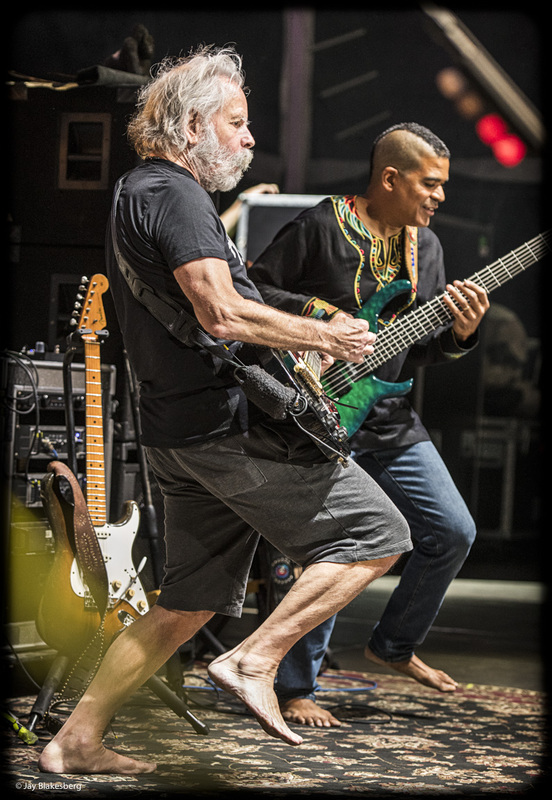 Bob and Oteil IN the groove big time…final show of the summer tour. Love the interplay of these two Rhythm Devils. The fuel that propels the spaceship into orbit! He is the secret sauce, Now that he and John are on the same side of the stage, there is a constant interplay between these two! It is fun to shoot, and amazing to see where it goes! Always weaving in and out of the psychedelic swirl with the groovy bottom end. Him and Weir next to each other now is a perfect mix! Thank you for all that you do, Jay! Jay Blakesberg will be presenting his one of a kind Grateful Dead slideshow at Noon on Friday of LOCKN’ in the SVIP Lounge, and Saturday at 1PM in the VIP Lounge!